The photography genre really can’t complain about a lack of interest these days and as a result, the upcoming year offers a multitude of fairs, festivals, and exhibitions around the world dedicated to the medium. We’ve browsed through the huge selection on offer and found seven highlights you shouldn’t miss. Get these in your calendars! For almost half a century, the British Magnum photographer Martin Parr has been capturing the banalities of our daily lives on film with both affection and a satirical eye. His ability to present the familiar in a fresh, unexpected and often humorous way has made him one of the most celebrated photographers of our time. He’s especially interested in cultural clichés. Parr is best when mercilessly aiming his lens at his fellow Brits, trying to capture their national character. 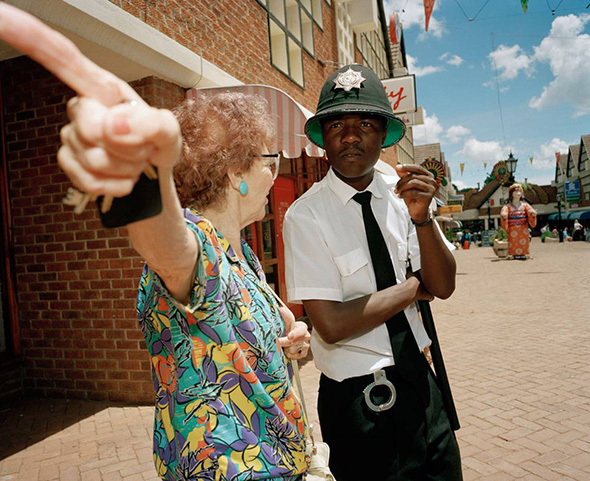 With the impending Brexit and Britain searching for its identity, the moment for an extensive retrospective of Parr’s work couldn’t be more apt. Travel to Vienna this year if you want to witness the birth of something truly novel. The city hosts its first Foto Wien, a Vienna-wide photography festival showcasing not only the vibrant local scene but also international highlights. The Austrian capital is all about photography for a whole month, with around 100 partners ranging from museums and galleries to independent art spaces, universities and artist initiatives participating in the multifaceted program. 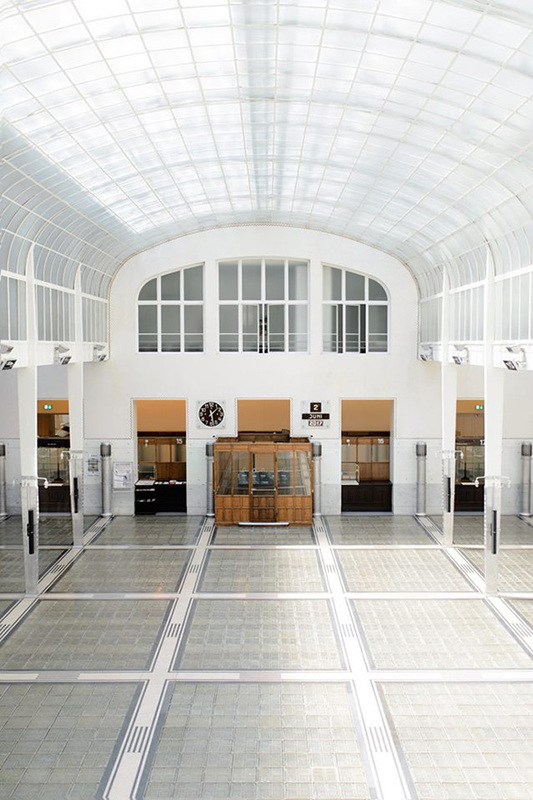 Besides visiting exhibitions, there’s a multitude of things to see: Studio visits, performances, a photo book market, workshops, portfolio reviews, lectures…We recommend starting your itinerary in the beating heart of the festival at the headquarters in the Otto Wagner Postal Savings Bank. This cutting-edge photography festival has invaded the small picturesque town in French Provence every summer since 1970. Founded by photographer Lucien Clergue, writer Michel Tournier and historian Jean-Maurice Rouquette, it has been highly influential in the international photography community - especially when it comes to showcasing new talent: It’s become an important springboard for many young photographers and creatives. 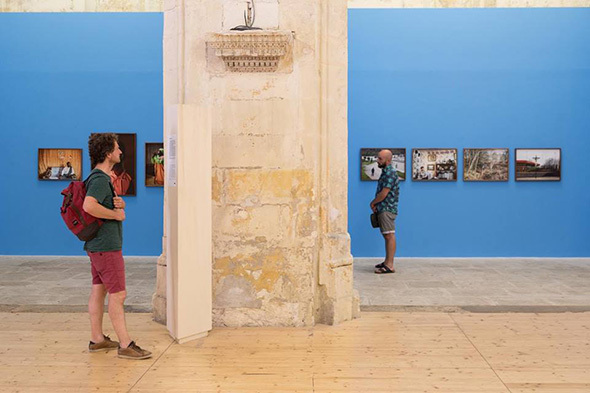 Exhibitions, usually around 50, are on view throughout the city and the program is vast; it not only addresses photographers but also curators and researchers. There are panel discussions, documentary screenings, workshops, and a dummy award. The opening week is especially busy with parties, nightly projections, performances, and book signings. To give you just a taste: In 2009 the Tiger Lilies played during a projection of Nan Goldin's »The Ballad of Sexual Dependency«. Besides the renowned photography festival, Arles is also home to the Fondation Vincent Van Gogh, the LUMA art campus, and a new creation by Frank Gehry. No wonder it’s been dubbed “the art world’s new hotspot” by Architectural Digest. 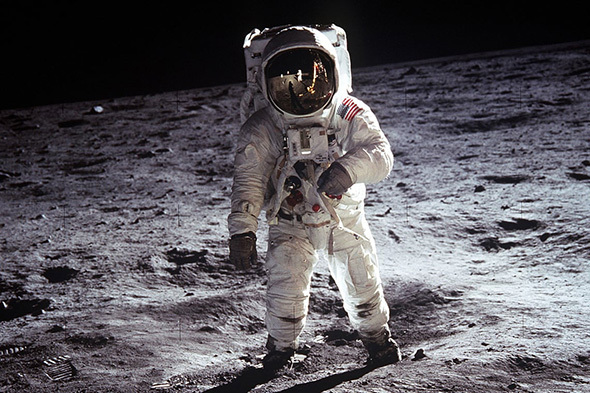 50 years ago the historic first images of astronauts walking on the moon were witnessed live by half a billion viewers around the globe – a thrilling moment not only for the history of humanity itself, but also in terms of visual history. On the occasion of the 50th anniversary of the Apollo 11 moon landing, New York’s Metropolitan Museum of Art showcases a study of photographic representations of the moon from the beginnings of photography through today: There’ll be 19th-century attempts to capture the surface of the moon, photographs taken on the Apollo 11 mission and also a selection of related drawings, prints, paintings, films, astronomical instruments, and space-flown cameras, exploring how the iconic images have in turn inspired artists, writers, and scientists. While a significant number of galleries at Paris Photo and Photo London fill their booths with vintage and antique works from the 19th and beginning of the 20th centuries, Amsterdam’s Unseen, as its name suggests, is exclusively dedicated to the new and contemporary. The festival therefore champions novel and innovative approaches to photography, provides a platform for up-and-coming talent, and brings together key figures from the international photography community to contemplate and discuss how the medium is evolving. Fittingly located in the Westergasfabriek, a complex of industrial buildings that today forms a buzzing cultural hub, it breaks the mold of the classic fair model by adding a book market, a space dedicated to artist collectives, and events spread throughout the city to the mix. If you only have time for one photography fair this year, Paris Photo should be it. Although Photo London has come some way to catch up with its big sister, Paris has held on to its undisputed position as the grande dame of photo fairs – it’s been the largest international art fair dedicated to the photographic medium since 1997. 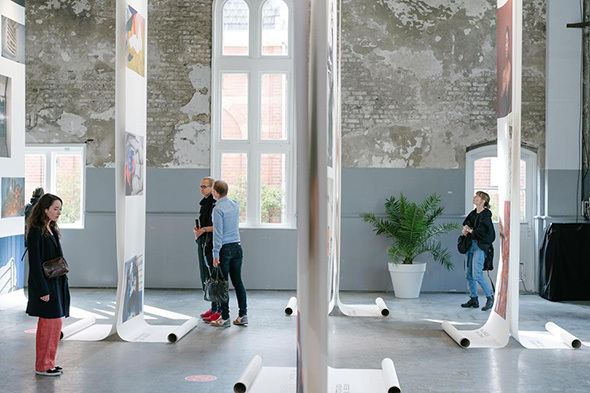 Last year’s, curated by Martha Kirszenbaum (who’s also responsible for the French Pavilion at the 2019 Venice Biennale) saw 68,876 visitors. 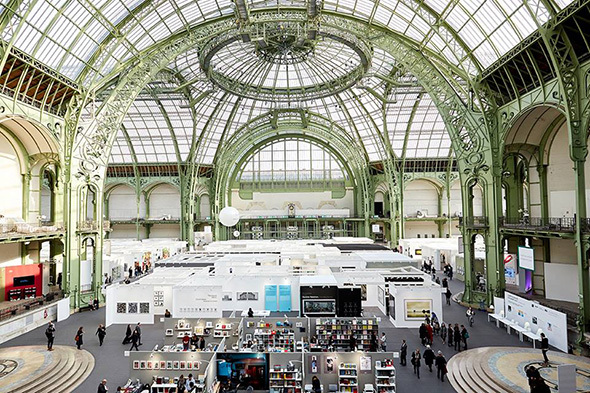 With almost 200 exhibitors from 30 countries ranging from blue chip galleries to specialized publishers spread throughout the giant architectural gem that is the Grand Palais, the event is as enjoyable as it is exhausting, especially if you try to see everything in one day. Our tip: Choose comfort over fashion when picking out your shoes. 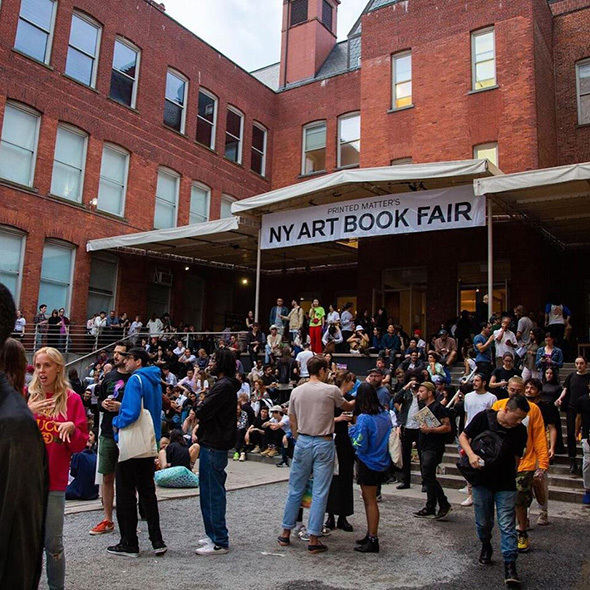 As the world’s largest book fair for artist books and related publications, the New York Art Book Fair is also of great importance for the photography world. Among the 370 exhibitors from 30 countries, many specialize in the medium, and consequently it’s a fantastic place to catch up on the latest trends in independent photo books. There’s also a varied program of exhibitions, talks, workshops, book launches, and performances, and with about 40,000 visitors attending each year, it’s a great place to promote your own work.